Yes, yes, we’re doing more “Caligari” shows — TaaPet‘s renewed soundtrack for the German classic silent film, The Cabinet of Dr. Caligari. Our first Caligari shows happened around the year 2000 and were documented on our third album for Fact Records. 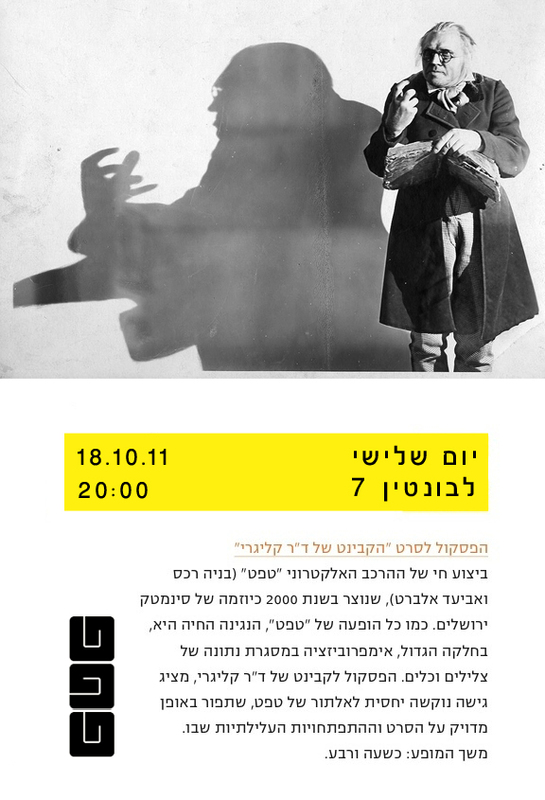 A few months ago, more than 10 years later, we revisited our work and re-performed the soundtrack at the Jerusalem Cinematheque. This upcoming performance is part of Oz in the City 2011 events.